Looterz – Grab As Much Gold As You Can! Cool Mini Or Not is coming back with Looterz, a game of stealing and cheating! Dragons are known for their tendency to collect any kind of treasure they find into their caves, where they make sure that no one will ever lay their hands on it. Or so they think… You have found a dragon’s cave and luckily the dragon isn’t here right now. What a great opportunity for you to grab as much loot as you can! 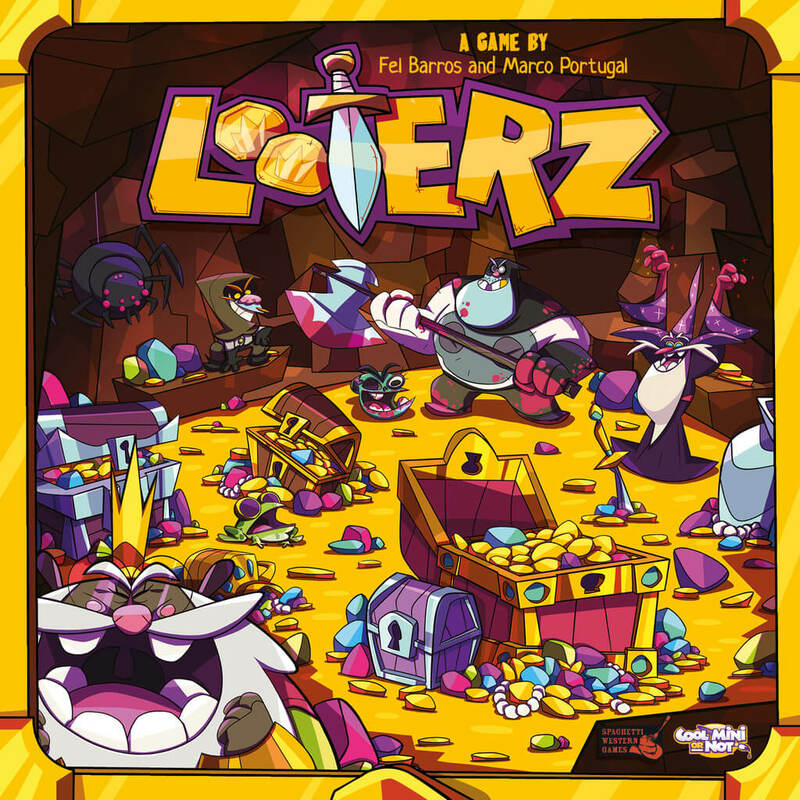 In Looterz, you take the role of a group of adventurers trying to steal the most loot possible, while the dragon is away. However, there is always someone who will find the right moment to steal loot from the other players. During the game, you will recruit people to your team, use their special abilities and fight against rival looters, aiming at becoming the adventurer with the biggest pile of treasure!